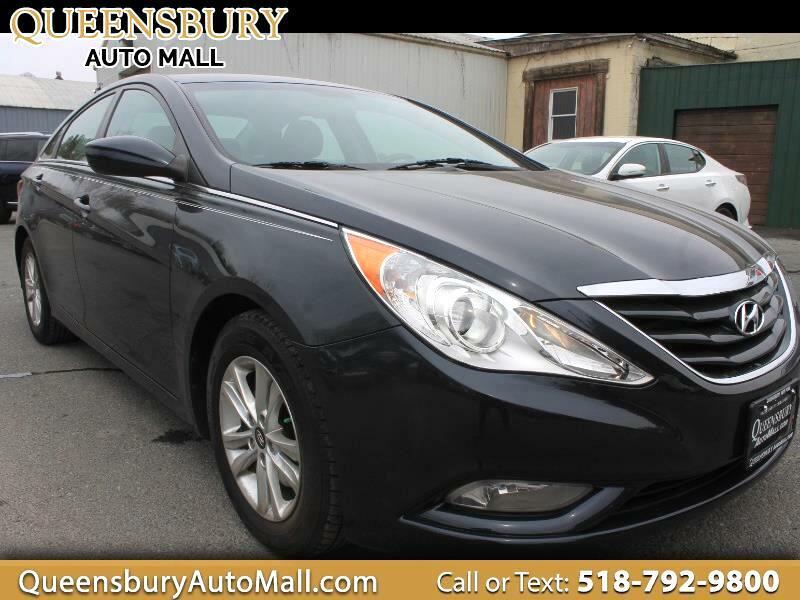 ***ECO-FRIENDLY, AFFORDABLE, LOADED, SAFE, SPACIOUS HYUNDAI FULL SIZE SEDAN - HERE'S AN AFFORDABLE 2013 HYUNDAI SONATA GLS TAX TIME SPECIAL AT QUEENSBURY AUTO MALL - COME TO 635 GLEN STREET IN QUEENSBURY, NY 12804 TO GET A LOW PAYMENT ON VERY RELIABLE DEEP NAVY BLUE HYUNDAI SONATA WITH EXCELLENT SAFETY RATINGS - TRADE YOUR OLD RIDE INTO THE AUTO MALL AND SAVE MORE $$$ - DON'T MISS THIS AFFORDABLE SEDAN, AND LET THE AUTO MALL FAMILY UPGRADE YOU TODAY*** 2.4L L4 DOHC 16V MOTOR! FRONT POWER SEAT WITH DRIVER LUMBAR SUPPORT! HEATED PREMIUM CLOTH SEATING! TOUCH POWER TRUNK RELEASE SYSTEM! BLUETOOTH PHONE CONNECTION WITH HANDS FREE CALLING SYSTEM! ACTIVE ECO DRIVE MODE! AM/FM/CD PLAYER WITH AUXILIARY INPUT JACK, USB IPHONE INTEGRATION, SATELLITE RADIO, AND WIRELESS AUDIO STREAMING! FULL POWER EQUIPMENT! POWER GAS DOOR RELEASE! FULL CABIN SAFETY AIRBAG CURTAINS AND SIDE AIRBAGS! REAR WINDOW DEFROSTER! TILT/TELESCOPE STEERING WHEEL WITH CRUISE CONTROLS, AUDIO CONTROLS AND BLUETOOTH CONTROLS! FULL CABIN HEATING AND AIR CONDITIONING! ALLOY WHEELS ON FRESH TIRES!